NEW YORK, NY--(Marketwire - Nov 5, 2012) - Building on the momentum created by several recent lateral hires, Cooley LLP announced today that leading Intellectual Property lawyers Walter Hanchuk and John Kheit have joined the firm as partners in its New York office. Walter and John were partners at Chadbourne & Parke LLP in New York, where Hanchuk was chair of Chadbourne's IP practice and Kheit led the firm's Mobile Technology practice. Hanchuk joins Cooley's national IP group as chair of the firm's New York IP practice and will be driving the strategic growth of the firm's IP practice in New York. "Walter and John have developed one of the premier IP transactional, litigation, and patent asset creation practices in New York," said Joe Conroy, Cooley's New York-based CEO. "Their extensive experience in all phases of IP, including a particular expertise in financial services and software technologies, extends the reach of Cooley's IP practice in New York and creates powerful synergies across our core IP and business technology practices across the firm." "Cooley's strengths in IP and technology are well known to us and our clients," Hanchuk said. "The firm is simply a natural fit. More importantly, Cooley's commitment to growing its IP practice in New York, and the recognition that this growth is core to the firm's continued strategic growth, is compelling. We are looking forward to contributing substantially to the execution of this strategy." The arrival of Hanchuk and Kheit closely follows that of Scott Balber and his team, who joined on October 8. Balber was previously the co-chair of Chadbourne & Parke's Litigation practice. Scott now serves as chair of Cooley's Financial Services Litigation practice. In his first week at Cooley, Scott and his team delivered a $10.1 million patent infringement verdict for Rockwell Automation at a jury trial in the Western District of Wisconsin. "The addition of Walter and John underscores the firm's commitment to building a high-end, multi-disciplinary IP practice in New York that will complement our national strengths," said Jim Brogan, chair of Cooley's IP practice. "Their arrival builds on this momentum and is a great step forward for the New York office and for our firm." Cooley's national IP practice has welcomed several senior hires since 2011. Additions in New York have included IP litigator Joe Drayton from Kaye Scholer and Matt Langer, a life sciences-focused patent prosecutor and counselor, who had previously been a partner at Wilson Sonsini Goodrich & Rosati. Cooley's IP group comprises more than 110 lawyers and 50 other professionals and represents many of the world's leading technology and life sciences companies. The group was recognized in May 2012 by the National Law Journal in its inaugural "IP Hot List" of elite practices among leading US law firms. Walter Hanchuk has practiced intellectual property law for more than 20 years, with a particular focus on patent and copyright litigation at the trial and appellate levels. 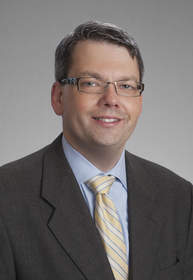 In addition to his litigation experience, Hanchuk's practice includes obtaining, licensing and enforcing worldwide IP rights, as well as conducting IP due diligence investigations and strategic reorganizations of existing patent portfolios in the financial services, information technology and telecommunications sectors. Earlier in his career, Hanchuk was a partner at IP boutique Morgan & Finnegan. Hanchuk also served as a US Patent Examiner at the US Patent & Trademark Office. He received his JD from the George Washington University Law School and his BE from the Cooper Union. John Kheit focuses his practice on representing a variety of technology-focused companies in complex litigation, patent and licensing matters. Particularly active in the computer software sector, Kheit has a deep understanding of microprocessors, electronic commerce, payment systems, communication, wireless, and network technologies. He has also been involved in the patenting of pure software technologies, including financial instruments, data-structures, graphical user interfaces, digital rights management, and peer-to-peer networking. Prior to practicing law, Kheit worked in high-technology, corporate and academic arenas, including positions with NeXT Computer, Inc., Time Warner, Harvard University, Franklin Pierce Law Center and the University of Toledo Law School. He received his JD from New York Law School; his BA and MBA from Rutgers, The State University of New Jersey; and his LLM from Franklin Pierce Law Center. Cooley's attorneys have an entrepreneurial spirit, substantive experience and are committed to solving clients' most challenging legal matters. From small companies with big ideas to international enterprises with diverse legal needs, Cooley has the breadth of legal resources to enable companies of all sizes to seize opportunities in today's global marketplace. The firm represents clients across a broad array of dynamic industry sectors, including technology, life sciences, venture capital, clean energy, real estate and retail. More than 300 of Cooley's 650 attorneys are litigators handling leading national cases, often at the intersection of law and innovation. The firm has full-service offices in eleven major business and technology centers: Boston, MA; Broomfield, CO; Los Angeles, CA; New York, NY; Palo Alto, CA; Reston, VA; San Diego, CA; San Francisco, CA; Seattle, WA; Washington, DC; and Shanghai, China.